The holiday season is upon us, and that means more time in the kitchen for many people. Everyone likes to step up their culinary game when entertaining for friends and family, and it’s even nicer when you can pull of a simple recipe that seems more complicated and involved than it is. That’s how I feel about these roasted carrots. 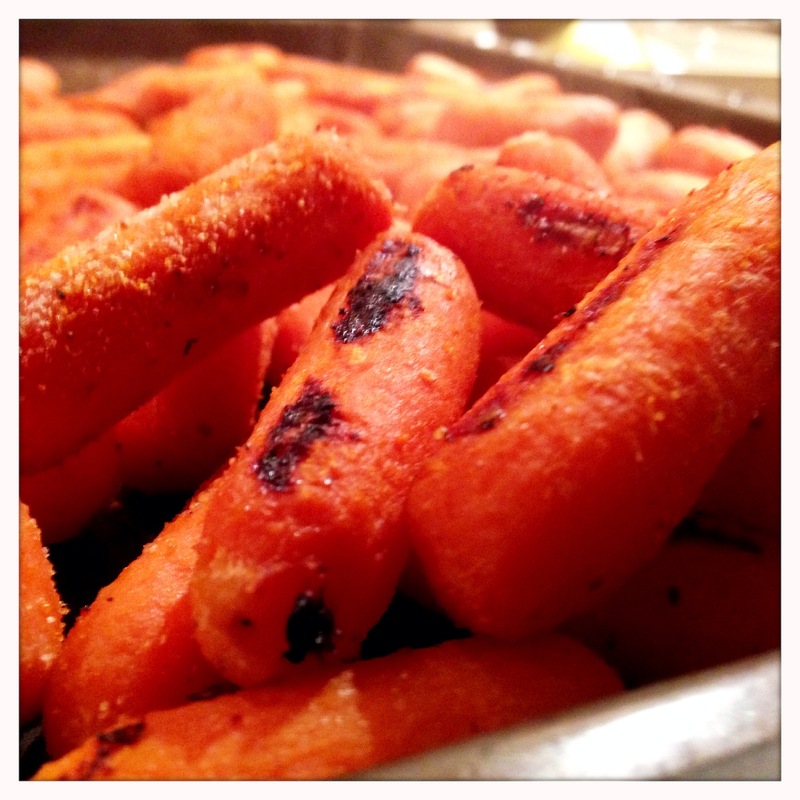 The process is basically season the carrots and stick them in the oven, but something about roasted carrots seems to suggest that something a little more special has happened. These roasted carrots are a great side to any holiday dish (not to mention a solid complement to any weeknight dinner, as well). They also make a great appetizer at a family holiday or party. Serve them up with a little sweet and sour sauce or BBQ sauce (or even plain), and watch them disappear! So, however you choose to use them, grab some carrots and lets get started! Rinse the carrots, and place them in a large zip-top bag. Add a little olive oil, seal the bag and shake to evenly coat the carrots. 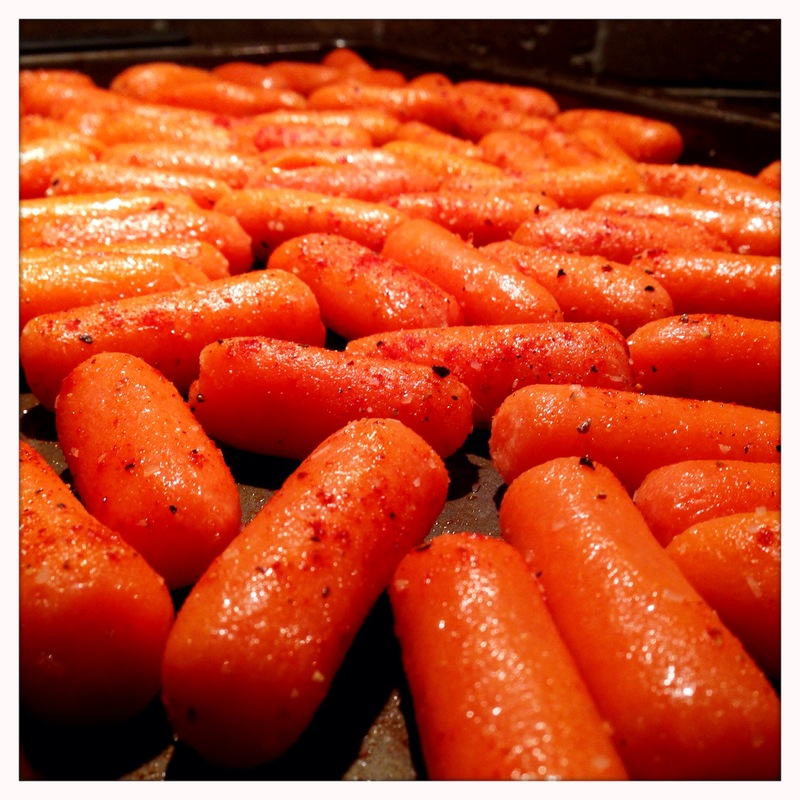 Then lay the carrots out on a baking sheet in a single layer. 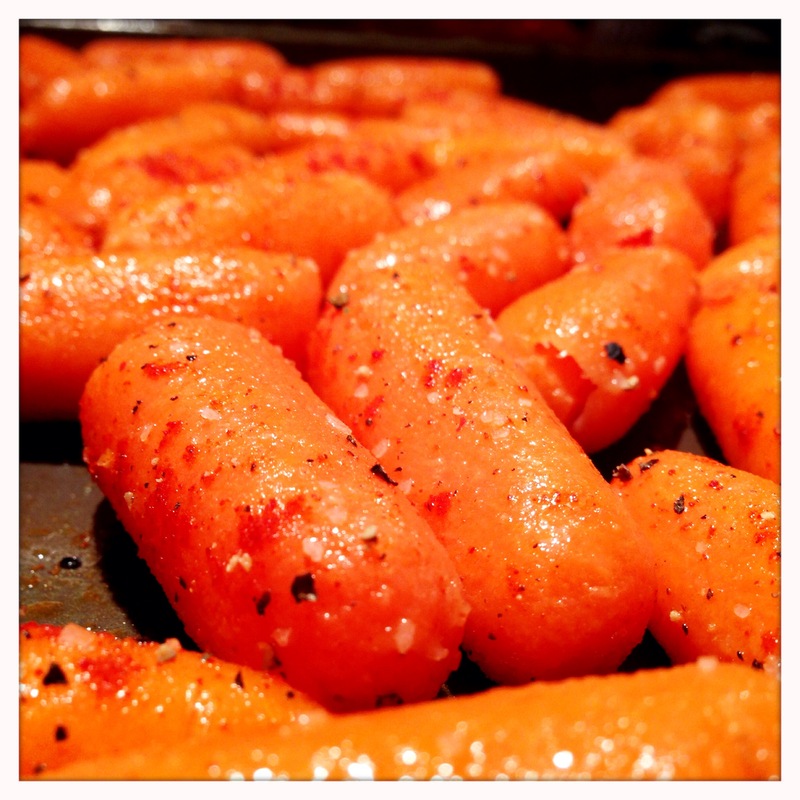 Season the carrots with the paprika, onion powder, salt and pepper. Place them in the oven for about 30 minutes. After about 15 minutes, it’s not a bad idea to gently stir them around a bit just so that they brown more evenly, but don’t worry if you forget to stir them. They will be just fine staying in one position for the whole thirty minutes, and part of the beauty of this recipe is the simplicity, which allows you to work on other things while the carrots cook. 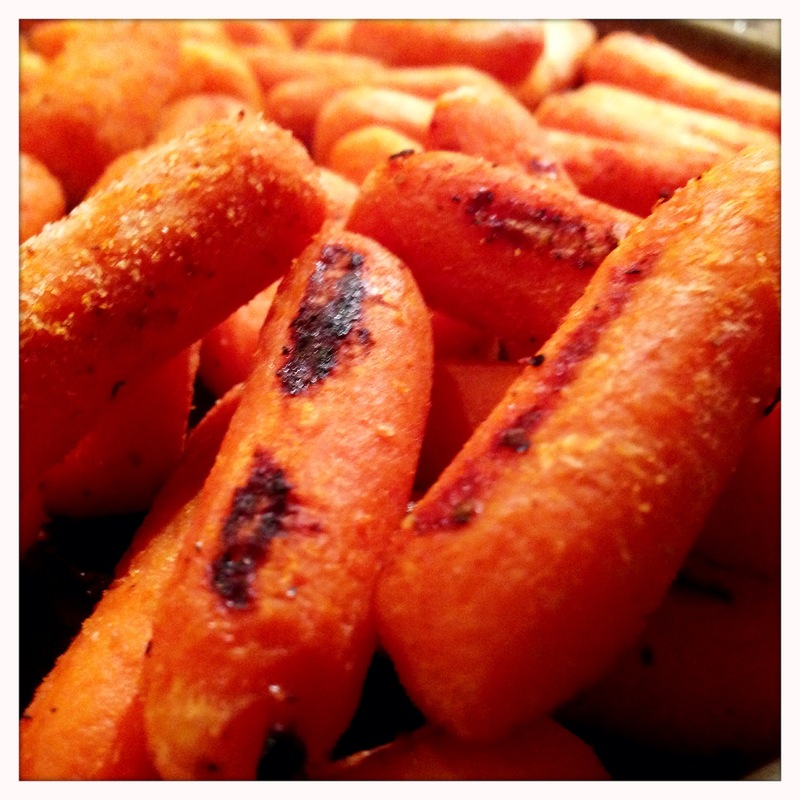 After 30 minutes, you will be rewarded with some perfectly roasted, lightly browned and absolutely delicious baby carrots. Share them with friends and family this season – or just make a batch as a snack for yourself. The holidays can be a stressful time in the kitchen, and I hope this simple side takes a little off your plate this year…and puts something delicious on your plate as well – Enjoy!